This district contains some of the best wheat growing land in the hundred, and has a considerable river frontage opposite the widest portion of the River Mersey. There are scattered plantations amongst open fields, where barley and oats as well as wheat grow well in light, sandy, or stiff clay soils. There are no brooks. The village of Speke consists of a small group of cottages near the church, a mile from a railway station. Other houses are scattered thinly over the district. The river bank in places is flat, but principally consists of high clay banks. Upon and about these the botanist may find many plants locally uncommon. 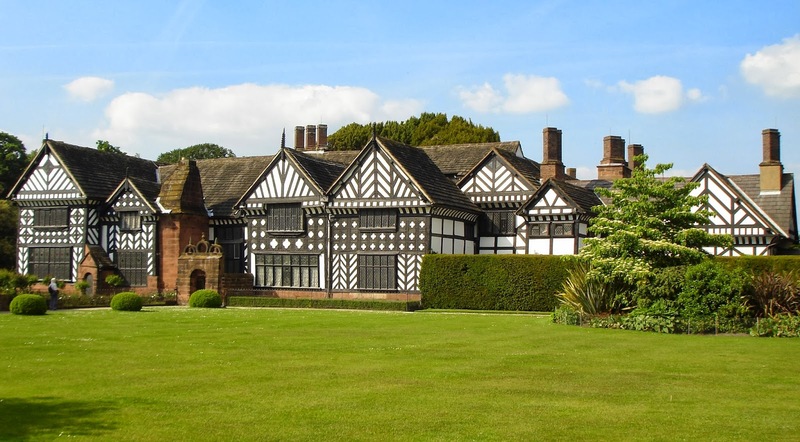 The area is 2,504½ acres, of which Speke Hall occupies 765 acres. Oglet is a hamlet by the Mersey. It is recorded that in 1901 the population numbered 381. The road from Garston to Hale crossed Speke in two branches, and was met at the village by the road coming south from Woolton. The London and North-Western Company's line from Liverpool to Warrington passed through the northern part of the Speke, where there was a station. The remains of Hunt's Cross were described in 1895 as 'a displaced massive square stone socket, lying in a barn, at the crossroads, near the station.' At the boundary of Speke, Halewood, and Hale there was a piece of land called Conleach. Here formal challenge fights used to take place between the inhabitants of the adjoining villages. Speke was governed by a parish council. Speke Hall stands a little back from the shore of the Mersey, protected by belts of trees on the west and north, and set in picturesque grounds. The house is an admirable specimen of timber construction, being built round a central court and enclosed by a wide moat, which is now dry. The chief entrance is on the east, reached by a stone bridge of two arches spanning the old moat. The hall is at the north end of the west wing, with the great chamber adjoining it on the north, the kitchens and offices being in the south wing, and the chief living rooms on the north and east. 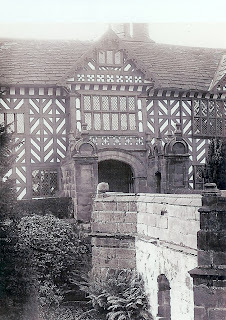 The buildings appear to be of two main dates, the south and east wings, except the north end of the latter, being the parts built by Edward Norris about 1598, while the north and west wings are of earlier detail, and probably date from the beginning of the sixteenth century. There is nothing to show that anything older than this is standing. Edward Norris's work follows the older building in general design, and is apparently a completion of an interrupted scheme, the main differences being in the smaller details, which show a marked renaissance feeling completely absent from the older work. The irregular setting out of the court is probably due to an alteration from the design during the course of the later work, the kitchen wing being swung southwards in order to allow room for a bay window in the southwest angle of the court, making an architectural balance to the hall window in the north-west angle. This care for symmetry is a sign of the growth of classical taste characteristic of the latter part of the sixteenth century, and is worthy of note in a building which in other respects is thoroughly Gothic in general effect. The name of Molyneux frequently occurs in the Norris leases and documents as that of farmers in the neighbourhood of Speke. 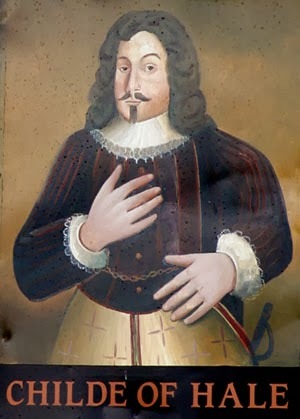 In 1584 Edward Norris granted a lease in Garston to Thomas Molyneux, Edward his son, and Margaret wife of Edward, in consideration 'of the good, faithful, diligent, and acceptable service of Thomas and Edward Molyneux.' 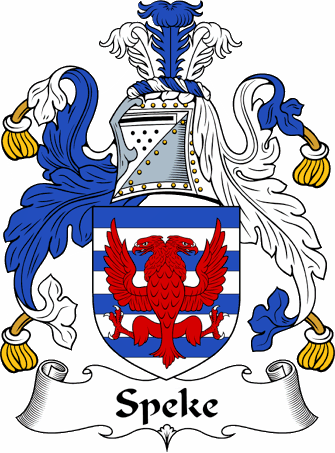 The last named died about 1618, and the lease was renewed to his son Robert and Elizabeth his wife. The final owner of the house was Adelaide Watt, daughter of Richard Watt V who restored the house fully in the mid 19th century. 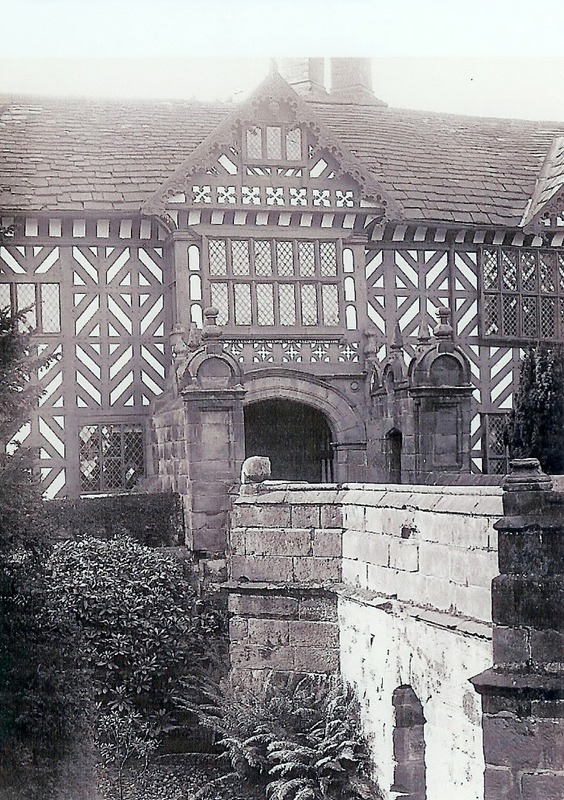 Adelaide never married, choosing to devote her life to Speke Hall and its estate. When she died in 1921, she left it to the trustees of the original Norris family who had built the original house. She also included a second clause, bequeathing Speke to the National Trust, who took over direct management in 1986. They have been restoring the hall and work is continuing, especially on the contents and in the grounds. 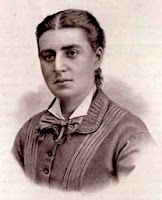 Adelaide Watt was responsible for the building of the local, All Saints Church. John Middleton was born in Hale in 1578, a normal and healthy baby of humble peasant stock. Middleton grew to a height of nine feet and three inches (2.8m), so tall, it is said, that he had to sleep with his feet sticking out of the window of his tiny cottage. Because of his ‘formidable appearance’ Middleton was employed as a bodyguard by a local landlord called Gilbert Ireland. 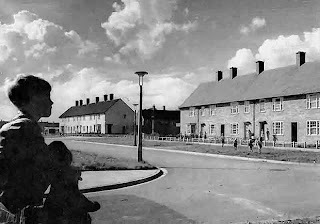 Until the 1930s, Speke was a small village but in the 20th century along with Knowsley and Kirkby, Speke became a prime site to build overspill housing and aid post war reconstruction. By the end of the 1950s more than 25,000 people were living in the area. Industrial estates began to spring up throughout the 1950s and 60s, providing employment for the residents of this continually expanding area. Industrial growth was focussed on the outskirts of the city, rather than inner city Liverpool. The main industries were motor works, such as Fords, light engineering firms, chemicals and pharmaceutical companies. The industrial rise of Speke continued until the mid-1970s, when an equally rapid decline ensued. The closure of the Bryant and May match factory was a noted example of these problems, as was the closure of the Triumph car plant. The area has however retained a cluster of pharmaceutical facilities, with companies operating there and the former Fords plant now operated by Jaguar remains in the area. Built in part of the grounds of Speke Hall, Liverpool (Speke) Airport, as the airport was originally known, started scheduled flights in 1930 with a service by Imperial Airways via Barton Aerodrome near Eccles, Manchester and Castle Bromwich Aerodrome Birmingham to Croydon Airport near London. The airport was officially opened in mid-1933. By the late 1930s, air traffic from Liverpool was beginning to take off with increasing demand for Irish Sea crossings, and a distinctive passenger terminal, control tower and two large aircraft hangars were built. During World War II, the airport was taken over by the Royal Air Force and known as RAF Speke. Rootes built many bombers in a "shadow factory" here, including Bristol Blenheims and 1,070 Handley Page Halifaxes. Lockheed Aircraft Corporation assembled many types, including Hudsons and Mustangs, that had been shipped from the United States to Liverpool Docks. The airport was also home to the Merchant Ship Fighter Unit. The original terminal building (pictured) dating from the late 1930s, famously seen on early television footage with its terraces packed with Beatles fans, was left derelict for over a decade after being replaced in 1986. It was renovated and adapted to become a hotel, opened for business in 2001, preserving its Grade II listed Art Deco style. It was part of the Marriott chain of hotels, but is currently the Crowne Plaza Liverpool John Lennon Airport Hotel after a renovation in August 2008. 2002 saw the airport being renamed in honour of John Lennon, a founding member of The Beatles, 22 years after Lennon's death. A 7 ft (2.1 m) tall bronze statue stands overlooking the check-in hall. The New Mersey Shopping Park was re-developed in 1999 from an older retail site. It houses many large retail and textile outlets as well as mainstream restaurants. The New Mersey Retail Estate is situated between Speke and Garston, directly opposite to the Old Liverpool Airport main terminal building, which is now a hotel complex. 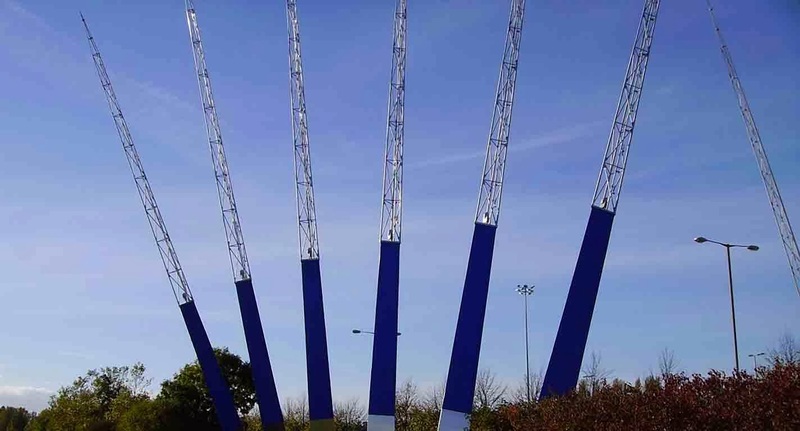 Estuary Commerce Park under construction in June 2012 The area also features the Mersey Wave, officially opened on 15 December 2003, a 200 ft-long (61 m) and 100 ft (30 m) high illuminated sculpture comprising two sets of six aluminium fins.